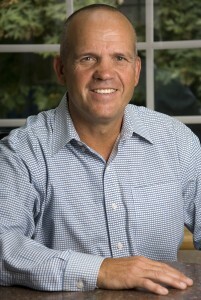 Dale is a master builder and certified remodeler, named a Top 500 remodeler in the United States. His attention to detail resulted in the authentic remodel of the historic Casa Corona in 2007. What was originally intended to be his personal retirement home, word spread quickly of the relaxing experience the villa provided to family and friends, and soon Dale realized he couldn’t keep this hidden gem all to himself, he wanted to share the experience of Casa Corona. Casa Corona now operates as a full time vacation rental home. Dale currently resides in Oregon where he continues to work on his business beside his daughter. He continues to visit the villa when time permits, as Casa Corona has grown into a thriving and popular relaxing vacation destination. As the owner, Dale has some interaction with guests prior to their stay. His personal involvement will be during the reservations and payment process. Because he does not reside in the city, he has two wonderful property managers (fluent in english and spanish) to assist with making your trip to the villa & your stay the most enjoyable, and make check -in/check-out easy and stress free. Once reservations are confirmed, guests will be introduced to our two property managers as they will be the main contacts prior to, and during your stay. Saskia grew up in Canada, and has spent the last 25 years in Latin America. Lucky to find her own “piece of paradise” in Puerto Vallarta over 15 years ago at Condominio El Escondido. She has been the Administrator for 10 years, and started her own business, Vallarta Getaways where she is Property Manager to several private villa’s in Vallarta. Saskia and her business partner Emma are the primary property managers of Casa Corona. Saskia’s primary role is maintaining the proper working order of the villa and management of staff. Saskia makes it a priority to ensure that everything is in proper order ensuring that each guest feels comfortable and safe at all times. 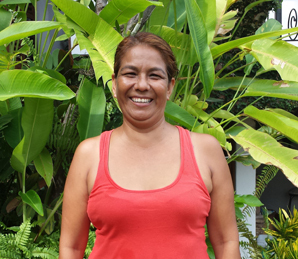 Saskia shops for supplies, oversees maintenance of the villa, accounting/bookkeeping duties and assists the owner, Dale in overall operations. 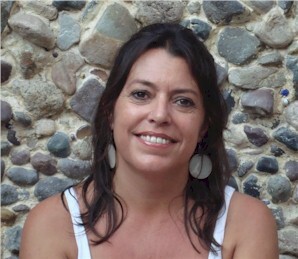 Emma has worked in the travel and sales industry for twenty years, involving different countries and cultures. 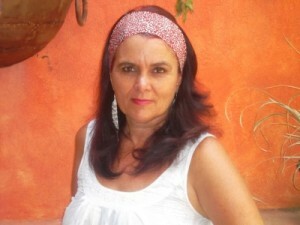 She has over nine years experience in Puerto Vallarta, and offers support to Saskia at Vallarta Getaways. Emma’s essential role is maintaining guest services. Emma provides excellent service by walking clients through the check-in and check-out process, giving a thorough and clear understanding of the villa features and answering any questions that may arise during ones stay. She manages all concierge services, such as making arrangements for the private chef, arranging transportation and recommending seasonal activities. As the head of maintenance at Casa Corona, Carlos handles general maintenance and upkeep of the property grounds. The fact that Carlos has been with Casa Corona since it was built in 2007 is proof that he is a loyal worker and friend. 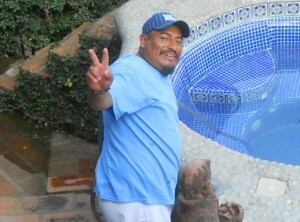 Carlos is very hardworking, he maintains the pool, the gardens and general maintenance and appearance of the property. Carlos speaks English well, is polite, trustworthy and does a wonderful job of keeping Casa Corona beautiful. Please remember to tip generously. Linda is the maid you want to take home with you! Linda tends to all your domestic needs and gives the extra service to make you feel special. Linda is responsible for cleaning the inside of the villa in its entirety three times per week: Tuesday, Thursday and Saturday. Additional service is available starting at $35/day. Linda speaks and understands some english. 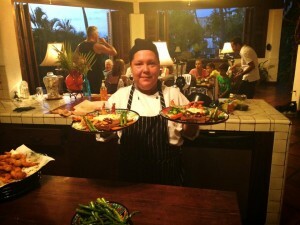 She does a wonderful job of keeping Casa Corona clean and sanitary for our guests. 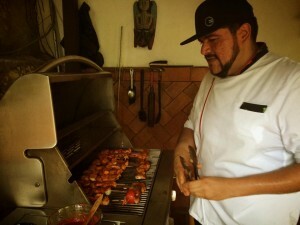 Chef Jonathon, aka “Monster” is a favorite Mexican chef of all the clients. One must experience his dishes for that true, authentic Mexican cuisine. 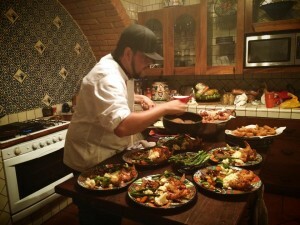 After studying and residing in Los Angeles, CA; Jonathon returned to his home in Puerto Vallarta to continue his passion in culinary. He speaks perfect English and provides an amazing dining experience. 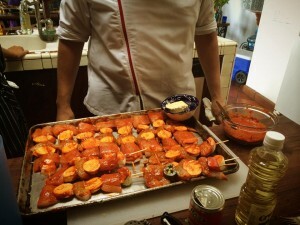 Weather you are interested in a formal or casual meal, Mexican, American or otherwise he will cater to your desires. You provide the meal choice, or he will make personal recommendations. Jonathon will do all the grocery shopping to prepare your gourmet meal in whatever setting you choose. Appetizers pool-side, or dinner on the roof-top terrace at sunset. Regardless of your mood, you are sure not to forget his master culinary skills anytime soon. We personally recommend to each of our guests to experience Chef Jonathon at-least once. You won’t regret it.